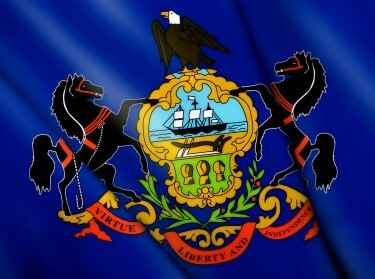 Expanding Medicaid in Pennsylvania under the Affordable Care Act would boost federal revenue to the state by more than $2 billion annually and provide 340,000 residents with health insurance, according to a new RAND Corporation study. The increased federal spending on health care in Pennsylvania would provide a $3 billion boost in economic activity and sustain more than 35,000 jobs, according to the analysis. But the expansion of Medicaid would not be without cost. Expanding Medicaid would require an additional $53 million in state spending in 2014, with the cost rising to $611 million in 2020 as the federal government trims its support for the Medicaid expansion. "The expansion of Medicaid in Pennsylvania increases health care coverage, net federal inflows, economic growth and employment compared to not expanding Medicaid, but requires a net increase in state spending beginning in 2017," said Carter Price, the study's lead author and a mathematician at RAND, a nonprofit research organization. "Our findings may help policymakers decide whether the benefits are worth the cost." Researchers from RAND and the University of Pittsburgh Graduate School of Public Health used the RAND COMPARE microsimulation model to estimate the effect of the federal Affordable Care Act on health insurance coverage and federal spending in Pennsylvania, both with and without expansion of Medicaid. Researchers also estimated the broader economic effects of the Affordable Care Act on the state. The project was sponsored by the Hospital & Healthsystem Association of Pennsylvania. Researchers found that under the federal Affordable Care Act, the proportion of uninsured people in Pennsylvania will drop from 13 percent of the population to 8 percent. Expanding Medicaid in the state would further cut the proportion of uninsured residents, down to 5 percent. Federal payments into Pennsylvania in 2014 for health programs are estimated to be $6 billion in 2014 if Medicaid is expanded and $4 billion without expansion. Because tax payments and other outflows to the federal government from Pennsylvania under the Affordable Care Act will be nearly $5 billion annually in either case, the state receives a net financial benefit only if Medicaid is expanded, according to the study. Under the federal Affordable Care Act, states have the option to opt in or out of an expansion of the Medicaid insurance intended to provide health insurance to low-income families. The Affordable Care Act provides support to expand Medicaid to include families that earn up to 138 percent of the federal poverty level. The federal government will pay a much larger share of costs for the Medicaid expansion than it does for current Medicaid enrollees. It will cover 100 percent of the costs for expanding Medicaid beginning in 2014 through 2016, and then gradually decrease support to 90 percent of costs beginning in 2020. The federal government currently pays about 54 percent of the costs for Medicaid in Pennsylvania. Spending on Medicaid by Pennsylvania will grow whether the program is expanded or not. Without expansion, Medicaid costs are expected to rise $50 million in 2014, growing to $120 million by 2020, according to the study. These costs will primarily be caused by people who are currently eligible, but not enrolled. They are expected to sign up for the program in order to comply with the Affordable Care Act's mandate that individuals have health insurance. Researchers say much of the higher state costs for Medicaid will be offset by new state tax revenue that will result from the increased spending on health care. The study estimates that if the state expands Medicaid, there would be net surplus in state revenue from 2014 to 2016. But beginning in 2017, there will be a net cost to the state. The study estimates that state government will be required to pay $200 million more with expansion of Medicaid than without over the 2014 to 2020 time period. One benefit of expanding Medicaid would be to lower the amount of uncompensated care provided by the state's hospitals and other health care providers, according to the study. In 2011, uncompensated care cost hospitals $990 million. Even without expansion of Medicaid, uncompensated hospital costs will drop by up to 33 percent under the Affordable Care Act over the 2014 to 2020 time period. Expanding Medicaid would cut uncompensated hospital care by an addition 10 to 15 percent. The study, "Economic Impact of the Affordable Care Act on Pennsylvania," is available at www.rand.org. Other authors of the study are Julie Donohue of the University of Pittsburgh Graduate School of Public Health, and Evan A. Saltzman, Dulani Woods and Christine Eibner of RAND. Carter C. Price @CarterCPrice, Julie M Donohue, et al.